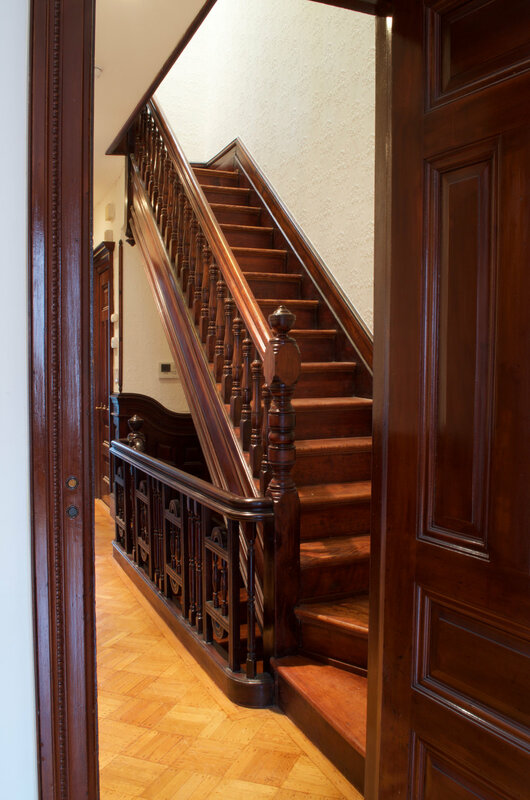 Full renovation of a historic limestone townhouse in upper Manhattan. 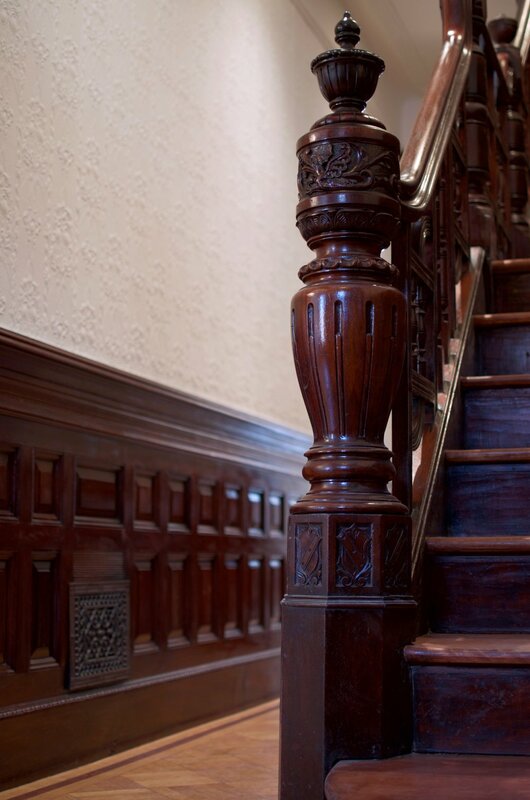 The biggest challenge with this project was modernizing the building and adapting it to the clients' needs while preserving its spectacular, intact architectural detailing and historical woodwork. 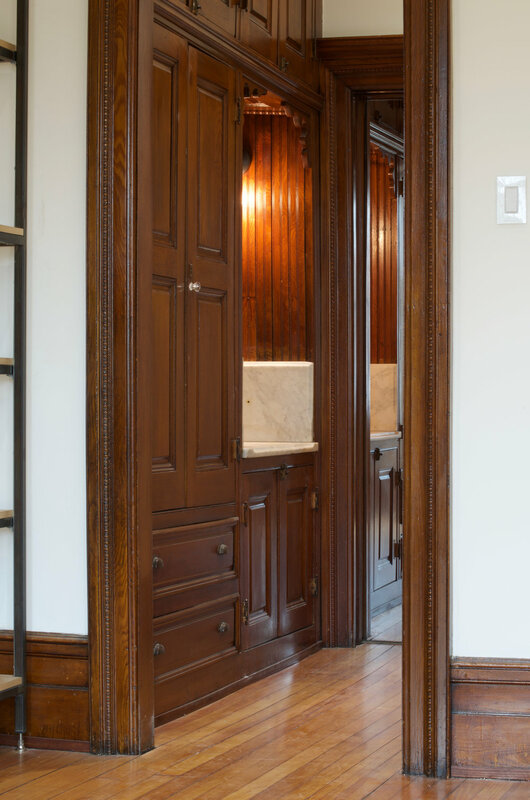 New electrical wiring and plumbing lines were carefully threaded into the walls and ceilings and new HVAC equipment was incorporated throughout the building in a completely unobtrusive manner. 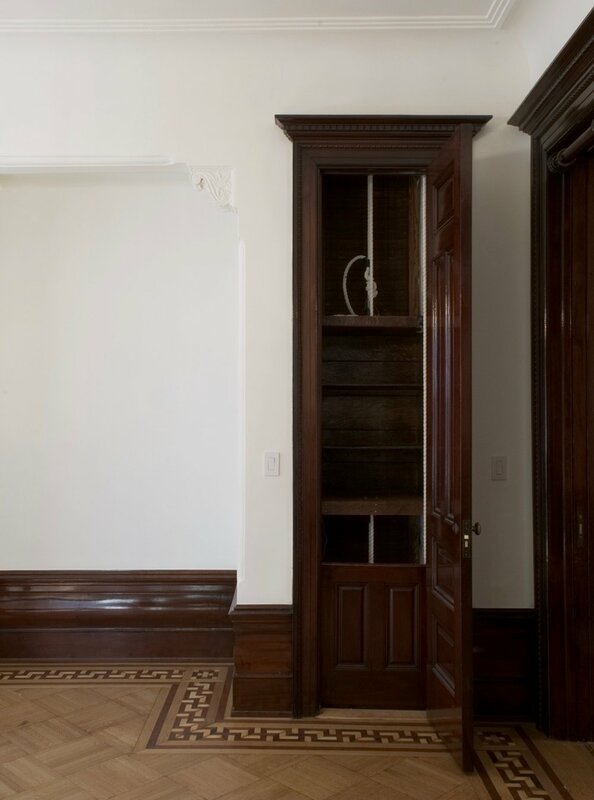 New millwork shelving units were designed and constructed to appear as though they were part of the original design of the house. 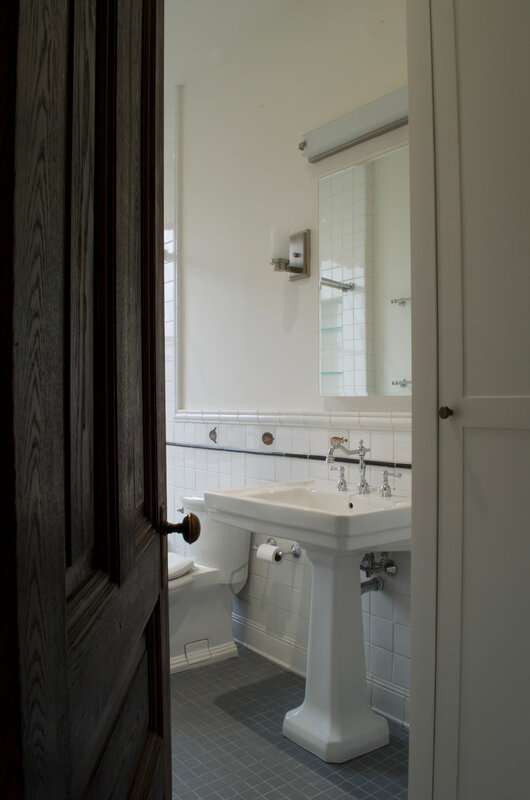 Existing historical woodwork throughout the house was lightly refurbished and all bathrooms and the kitchen were gut renovated.